A number of people have reported receiving the phishing message below, with the subject “New NYU Spam Security Check”. This message is fraudulent, and included a link to a compromised site. If you haven’t clicked, then you can mark the message as Spam by clicking the button at the top of the NYU Email window. This will help prevent such messages in the future. 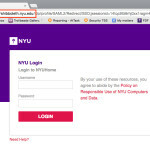 If you did click on the link, you should change your password at the Start page (start.nyu.edu) and check for any changes to your account. If you would like assistance with this process, contact the NYU IT Service Desk, open 24×7. Remember, NYU IT will never ask you for your username and password. 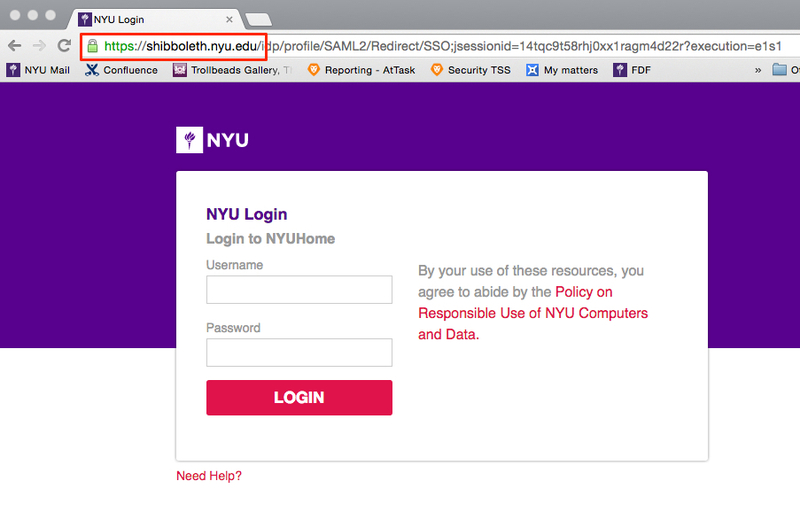 And, if you click on a login link, be sure that the login page goes to https://shibboleth.nyu.edu with the green lock symbol, as highlighted in the image below (click to enlarge). emails_) received by staff and students. As part of this review, we have extended the _spam_ checking and filtering service. As well as checking email coming in from outside the University we will also be checking emails sent from within the University. This should increase our ability to detect fraudulent emails and mark them as spam. Click to effect this upgrade.